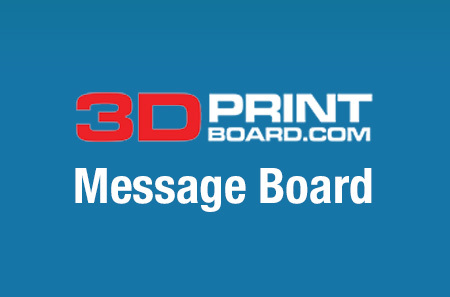 We’re starting off today’s 3D Printing News Briefs with some business stories, then moving on to some new products. Luxexcel has received an equity investment from a venture capital fund, while 3D Printing Studios is partnering with SAP Distributed Manufacturing and CRP Technology signs a new dealer agreement. The Ultimate 3D Printing Store is introducing a new custom enclosure, and Xometry has announced a new SOLIDWORKS add-in. Finally, Sculpteo is changing up its default nylon offering. In May, Belgium-based Luxexcel received a $10 million equity investment as it got ready to begin shipping its 3D printing vision platform to ophthalmic labs around the world. Now, the company announced that it has received an additional €4 million in equity financing from Netherlands-based venture capital fund Innovation Industries. This latest investment will allow the company to rapidly expand the functionality of its platform for prescription lenses in Augmented Reality/Virtual Reality (AR/VR) applications, including smart glasses, cameras integrated in eyewear, and drone control consoles. The first Luxexcel platforms, which consist of an industrial-grade optical 3D printer, lens design software, ophthalmic quality print materials, and workflow integration tools, will be installed in Europe and the US. By using the platform, AR/VR headset manufacturers have access to lens customization. This week, the 3D Printing Studios service bureau, which operates out of Asia and Australia, announced a new partnership with SAP Distributed Manufacturing, a leader in the enterprise application software market. SAP will work with 3D Printing Studios to provide companies in the Asia Pacific Japan (APJ) region with access to services and the latest industrial 3D printing technology. Now that 3D Printing Studios is part of the SAP ecosystem, it plans to expand its B2B 3D printing services and use collaborative applications so it will be better able to serve regional companies looking to adopt a digital manufacturing approach. CRP Technology, part of the CRP Group, has signed a dealer agreement with LSS Laser-Sinter-Service GmbH – LSS will sell CRP’s carbon fiber-reinforced composite SLS materials, Windform XT 2.0 and Windform SP, in the Austrian and German markets, as well as provide technical support from set-up to material processing. These high-performance materials are based in polyamide – Windform XT 2.0 is known for its mechanical properties, and is perfect for functional applications and creating durable prototypes in applications like aerospace and motorsports. Windform SP has mechanical properties similar to that of Windform XT 2.0, but with increased resistance to deformation, shock, and vibrations; it’s also waterproof and resistant to moisture and liquid absorption. The Florida-based Ultimate 3D Printing Store (U3DPS) has designed and created a custom, clear enclosure to cover and protect the Series 1 Pro 3D Printer by Type A Machines, so that 3D printer owners can increase the lifespan and use of their machines. The enclosure, which is available for purchase online, can be taken apart and laid out flat for easier, safer shipments – this helps U3DPS keep prices down and reduce the risk of damage. The $399.99 enclosure can be combined with an optional HEPA filtration system and fume extraction system from BOFA Americas Inc. for an additional cost of $799.99. Top manufacturing on demand platform Xometry has announced the newest update to its SOLIDWORKS Add-In, which lets users instantly get quotes on prices and lead times, and even manufacturing feedback, within a single Dassault Systèmes CAD software program. The latest version, which you can download for free here, offers a faster, more seamless experience, with an increased SOLIDWORKS integration that’s able to detect more design specifications and part features. The Add-In is a one-stop shop for on-demand manufacturing, and connects designers and engineers with the best solutions, at the best price, over multiple capabilities, including professional 3D printing, sheet metal, CNC machining, and urethane casting. Starting tomorrow, September 30th, Sculpteo will no longer be offering Nylon PA11 black plastic 3D printing material in its online 3D printing service. Instead, it is replacing it with HP Multi Jet Fusion PA12, which up until this point was only a beta material for Sculpteo and will now be its only black plastic 3D printing material. Many beta users were enjoying using the high-quality PA12 material to 3D print superior parts; it is excellent for creating resistant objects and complex shapes, so Sculpteo decided that all of its users should be able to use the material. Multi Jet Fusion PA12 is made from a fine polyamide powder, and features high impact resistance and great elasticity. It’s also light-stabilized and allows for high precision 3D printing. To learn more, check out Sculpteo’s blog post on the differences between PA11, PA12, and HP Multi Jet Fusion PA12. Discuss these, and other 3D printing stories, at 3DPrintBoard.com, or share your thoughts in the Facebook comments below.